I enjoy working the gig life because I get paid to travel, meet people, make friends, and see how people work. I can steal the ideas I like, shed the ideas I dislike, and adapt to more circumstances quicker. If I’m away from “Zeal,” my home office, for long hours on one gig, then I can figure out ways to make the time I do have here more productive, especially as I renovate the space. WANNA SEE WAYS I KEEP PRODUCTIVITY UP WHILE WORKING HARD AND FEELING TIRED? CLICK HERE TO KEEP ON READING! 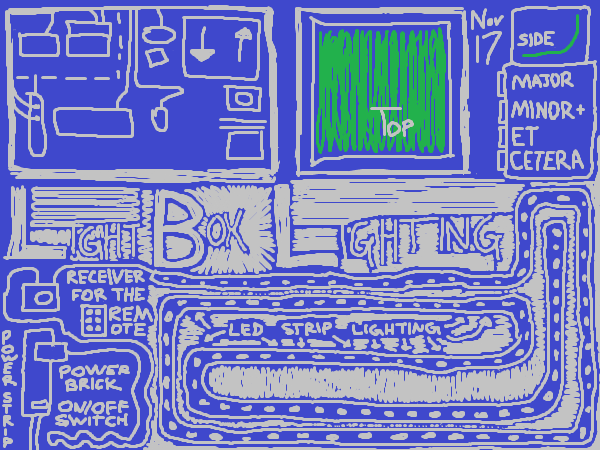 During brainstorming for my current professional project, we threw around potential tools to use. 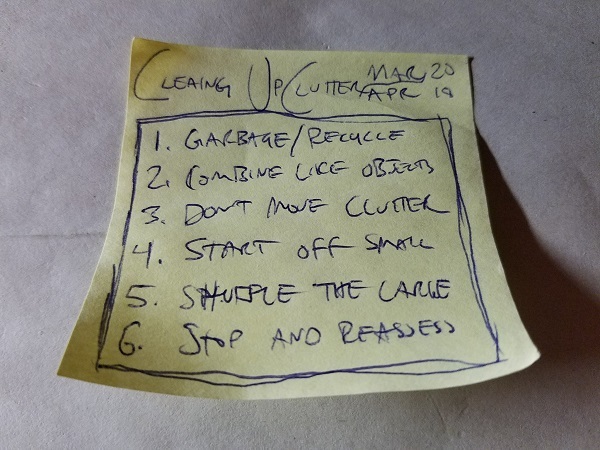 Though we couldn’t implement one I’ve used before, that didn’t stop me from plugging in all of my tasks so I could brainstorm office renovation tasks on the go. 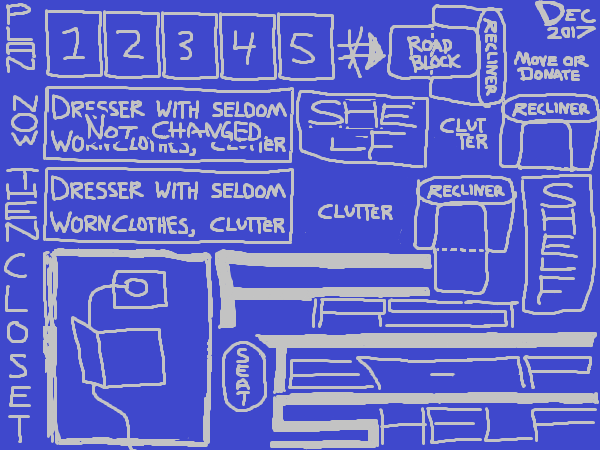 After starting with just the office, “Zeal,” I realized I could apply the same process for the rest of my abode. 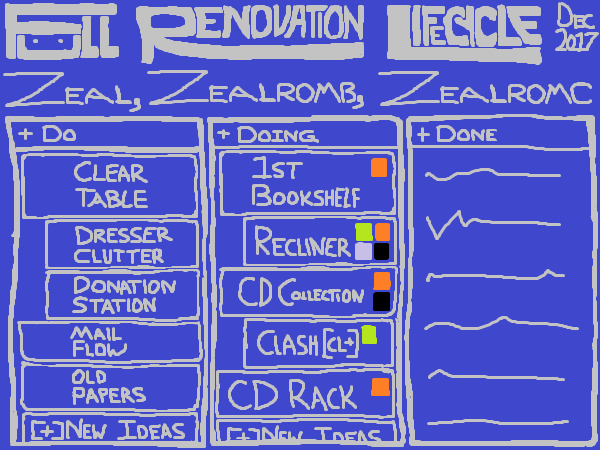 Now I can envision Zeal as a full renovation lifecycle project. WANNA SEE IF I THROW IN ANY GRATUITOUS PROJECT MANAGEMENT TERMS FOR THE LULZ? CLICK HERE TO KEEP ON READING! 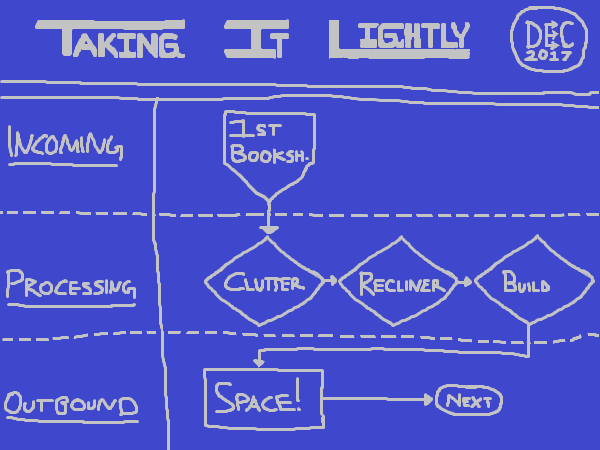 I’m taking it lightly this month as I apply the formal foundational ITIL workflows I learn to my office renovation project. I have big plans for this space; that’s why it’s called “Zeal.” Within Zeal, I imagine taking on most any project with ease. Having the physical space is key. 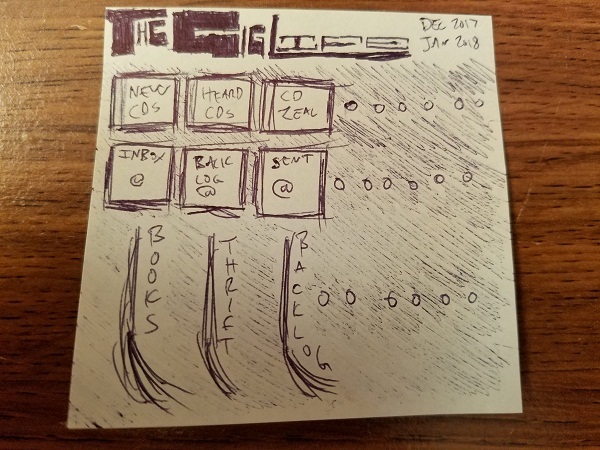 If I want to, say, completely alphabetize and catalog my CD collection, I need to be organized, unless I want duplicates, wasted time, and clutter. 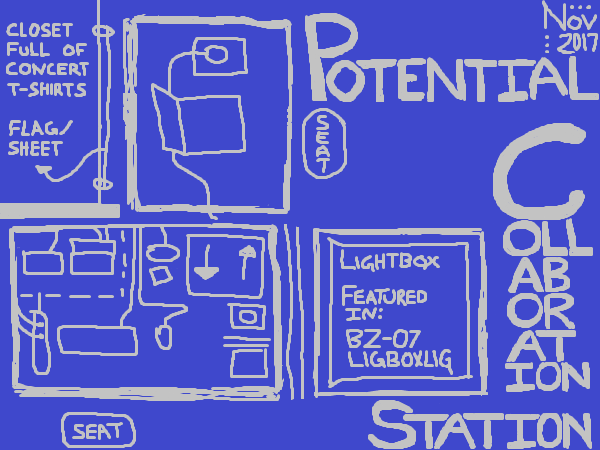 WANNA SEE HOW I MENTALLY CONCEPTUALIZE AN IDEA AND LEARN NEW CONCEPTS? CLICK HERE TO KEEP ON READING! WANNA GUESS WHAT THAT RECLINING PAIN POINT WAS THEN READ ABOUT HOW I’LL BE PROGRESSING? CLICK HERE TO KEEP ON READING! Author Zombiepaper (Anthony)Posted on December 7, 2017 December 1, 2017 Categories Bettering ZealTags "to fix things sometimes you've gotta break them", clutter, dependencies, Gantt chart, project management, reducing, Zeal, Zeal Ethos, Zero slacking Endless motivation Adapt quickly Lean positiveLeave a comment on [Bettering Zeal] First Temp Shelf?